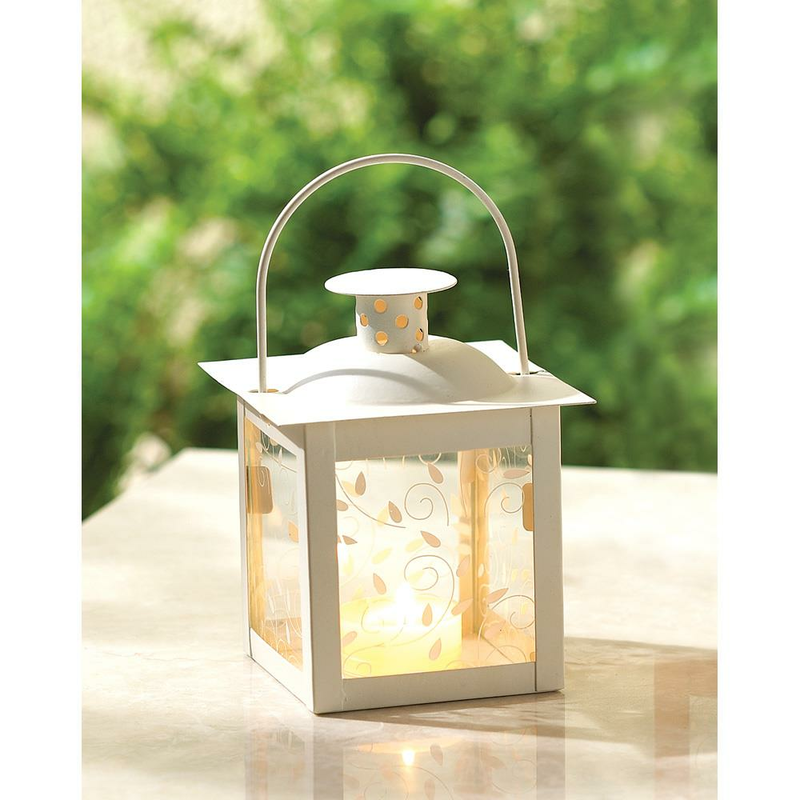 Add special glow anywhere with this charmingly petite lantern! 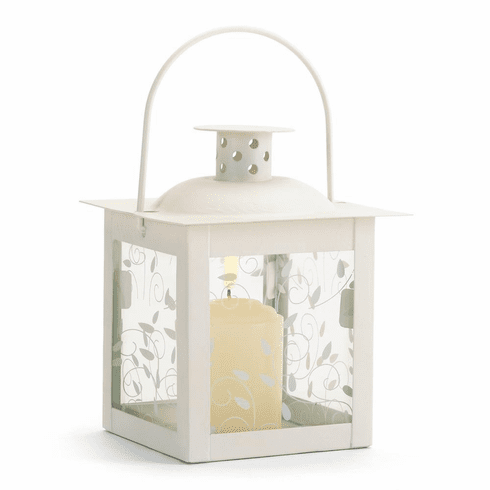 The panels gracefully curling vine design is beautifully highlighted by the candles soft light. Weight	0.6 pounds. 4" x 4" x 4.75". Metal, Glass. Candle not included. UPC Number: 849179012113.